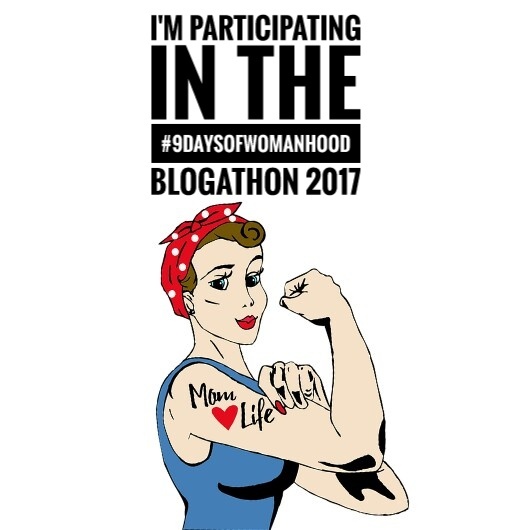 Continuing the celebration of #9daysofwomanhood I gladly thanks Sumira, my co-blogger who blogs at http://www.cuckoosnest-sumira.blogspot.in/ to introduce me. Don’t miss her blog post on today’s prompt #pregnancy. I hereby introduce Veena, my co-blogger who blogs at http://www.thereadingmomster.com/. I am sure you will love her post too on today’s prompt. Pregnancy, the word itself took me back to those days and I am totally loving the nostalgia I am having while writing this post. Isn’t it amazing how a tiny fetus transform into a baby and make you complete as a woman. Care and love showered by everyone made it a beautiful period of my life. I totally loved and enjoyed it to the core. I have two lovely daughters and both the pregnancies were somewhat similar and somewhat different experience for me. I didn’t had nausea in any of my pregnancy except for the morning sickness in the first one. I remember how I use to gorge on food when I was expecting my second baby. Those hunger pangs at 2’o clock in midnight, swelled feet, discomfort in sleeping, itchy tummy, backache, frequent visits to washroom and sleepless nights due to high acidity and tiny kicks was worth it all when I held them for the first time. The first glimpse of baby makes mother forget the pain she underwent in delivery. The nine months wait seemed endless that time but was enjoyable. The beautiful phase in which I learnt to take care of myself. A carefree girl was transforming into a woman who now takes care of each and everyone in the family. I totally loved the transformation and the sense of responsibility and fulfilment it has brought to my life. Mother bonds with the child even before he is born. Feeling of those tiny kicks is unexplainable. We were two when we vowed to be with each other in this journey of life in every situation and the addition of both my daughters to our world has make us complete in every sense. I couldn’t have asked for more. Now that’s a beautiful story. I love your positive spirit girl. Totally relate to your post.. especially the hunger pangs!